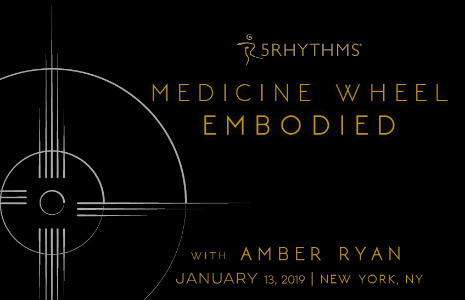 Location: Gibney Dance, 53A Chambers St.
We will gather In community, to practice, to embody and discover which of the rhythms are thriving within us as well as the ones lying dormant just waiting to be tapped into. In the dance we move to unlock tension, to clear our channel of stagnant energy, and to open into an enlivened, instinctual and creative wellspring. That's Good medicine for the body, heart and soul. We will weave the sacred with the mundane to create a potent medicine wheel in which we will offer to ourselves, each other and beyond. No experience necessary to participate in this workshop. This workshop will count as 1 day Waves towards 5Rhythms teacher training prerequisites.